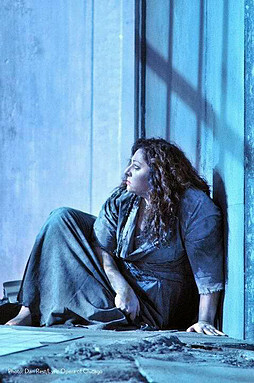 Christine Goerke is one of today’s most sought after opera stars for the roles of Brünnhilde and Elektra, but her massive sound and assortment of colors aren’t limited to these two roles she has come to dominate; she’s equally compelling as Cassandra, or Ortrud, or Turandot, or, well, basically every character she plays! That said, it’s not only Christine’s singing and acting that make her a star – it’s also her story, her tenacity, and her humor. 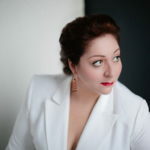 In November, Christine will perform Brünnhilde in Lyric Opera of Chicago’s Die Walküre. The Midwest is finally going to get to experience what our friends to the North (Canadian Opera Company) and South (Houston Grand Opera) have been raving about, and we can’t wait! I am absolutely thrilled that Christine was willing to take some time to answer a few of our questions about her upcoming performances, her past, and her love of opera. I can’t tell you how excited I am to see you in Lyric’s upcoming production of Die Walküre! I have heard and read nothing but rave reviews of your Brünnhilde. Which opera in The Ring is the most fun as Brünnhilde (and don’t say Das Rheingold 🙂 )? It’s truly hard to choose one of the three. They all offer up different parts of Brünnhilde’s character and psyche. I love Walküre because of her innocence and then her fall from it. I love Siegfried because she experiences love for the first time, and allows herself to be vulnerable. I love Götterdämmerung because she sees that being vulnerable sometimes has a price, and that in the end, sacrifice is often worth the pain when it means that one can set something right. We are really exploring how much of a “tomboy” Brünnhilde is in Walküre. How does this Die Walküre differ from any other production of the same work you’ve been in? Well, every production is different, and this is no exception. We are really exploring how much of a “tomboy” Brünnhilde is in Walküre. I laugh when people think of that silly image of the large-breasted woman with the horned hat and spear… that’s not who she is at all. She’s a know-it-all teen who prefers to hang around with the men, has fierce loyalty and an awful lot to learn! I’ve always wondered how challenging it is to keep roles that you’ve performed countless times fresh and exciting. How do you do that? It’s not as challenging as you may think. Each time you repeat a role, you are working with different colleagues. You have had things happen in your own life in between runs of the opera. It can’t be the same because you aren’t the same. The director isn’t the same. The artists around you aren’t the same, and they are not giving you on stage what you were given the last time. It’s all fluid. That’s what makes live performance so cool – even during the course of a run at one company, you’ll never see the same show twice. …if I am singing something that is mean-spirited, or angry, or awful, or disgusting, I’m not afraid to use a color to show that also. It’s especially fun in German, when you have some serious consonants to work with! Last season you starred in Berlioz’s monumental Les Troyens at Lyric. 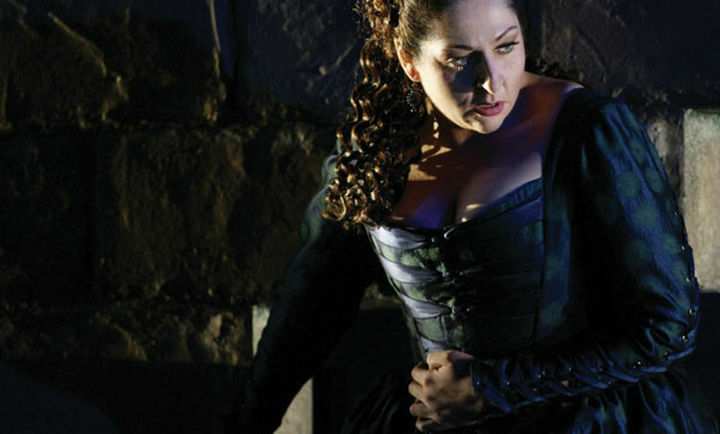 Does your general approach to singing and learning roles differ from opera to opera? Do you ever attempt to alter your tone in order to serve the character, as opposed to the style of music? For instance, a play actor may use an accent or speak in a lower or higher register in order to convey something about the character. Does that kind of thing happen in opera? Absolutely. I find that it mostly has to do with text. If I am singing text that is beautiful, I work incredibly hard to make it sound beautiful. Nine times out of ten, you just have to pay attention to what the composer gives you in the score, but if I am singing something that is mean-spirited, or angry, or awful, or disgusting, I’m not afraid to use a color to show that also. It’s especially fun in German, when you have some serious consonants to work with! It’s honestly one of the things I love most about singing. We have such a wide palate of colors that are available to us as performers. It gives us innumerable choices when it comes to interpretation. Looking at your schedule this season, I see a lot of Wagner and Strauss, and you recently finished a run of Turandot. Is there a role you’re dying to perform but simply haven’t had the chance to yet? You have become one of the world’s leading exponents of the roles of Wagner and Strauss. When I read that you began your career with Mozart and Handel, I couldn’t believe my eyes. Which role were you especially fond of in those days? Do you have any recordings of yourself singing them? I’d love to listen to one! You know, I’m not sure that I do! There is a commercial recording of Gluck’s Iphigénie en Tauride on Telarc from my former life; that may be the closest thing. In fact, there are a few recordings on Telarc. If you want a real giggle, there is one that I recorded with the Robert Shaw Festival Singers called Evocation of the Spirit. If you listen to the third movement of the Britten “Hymn to St. Cecilia,” you will hear a voice that you utterly won’t recognize. I don’t even recognize it myself when I hear it! After your vocal crisis, you completely transformed your career. Was there a definitive moment that you can recall when you decided to continue with opera? Who were your biggest supporters during that time in your life? Then there were my “opera parents,” Dr. Michael and Virginia Geheb. They kind of adopted me when I was in college and have been family ever since. Always a shoulder to cry on, and a friendly ear when I was feeling overwhelmed. Having a support system as an artist, crisis or not, is imperative. I’m very lucky. What does Christine Goerke do when she has an off day? I’ll let you know if I ever have one! Do not be a cookie cutter – that’s boring as hell! Bring us something new. We’re waiting. The opera world has a reputation for being cutthroat. Of all those studying today in order to become professional opera singers, only a fraction of them will actually make it. What advice would you give to current undergraduates who are considering a career in opera? If you can do something else? Do it. If your heart and soul say that you can’t do something else? Then go get it. There is so much more to this business than singing. There is a lot of sacrifice. There will be months on end that you don’t sleep in your own bed. You’ll be in places that you aren’t familiar with, you’ll meet with great criticism – and often. Develop a hard skin. Know yourself. Be true to yourself. Work hard. Study languages, not just diction. Remember that you are an artist, not a machine. You have something to offer that no other singer has because no one can be who you are. Do not be a cookie cutter – that’s boring as hell! Bring us something new. We’re waiting. It’s the marriage of text and music. 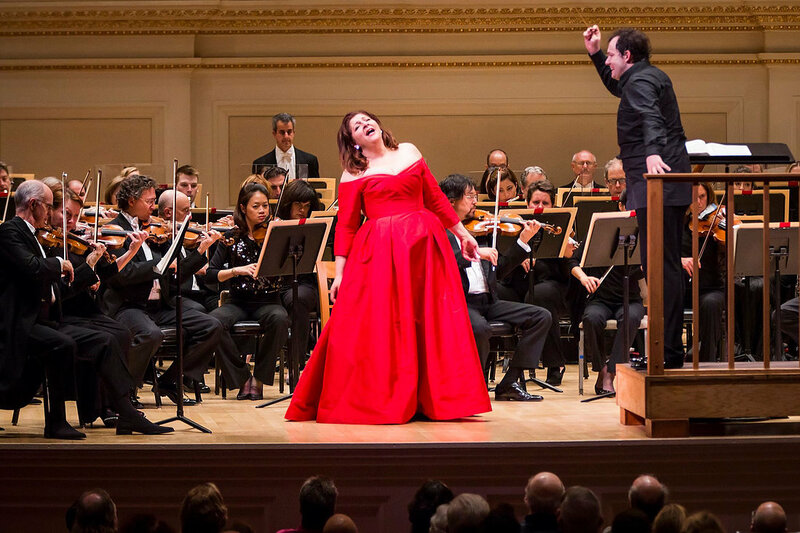 The ability to transport an audience and myself through opera. For all of the hard work that goes into what we do, when the downbeat happens and I step on stage, for a few hours, it’s magic.